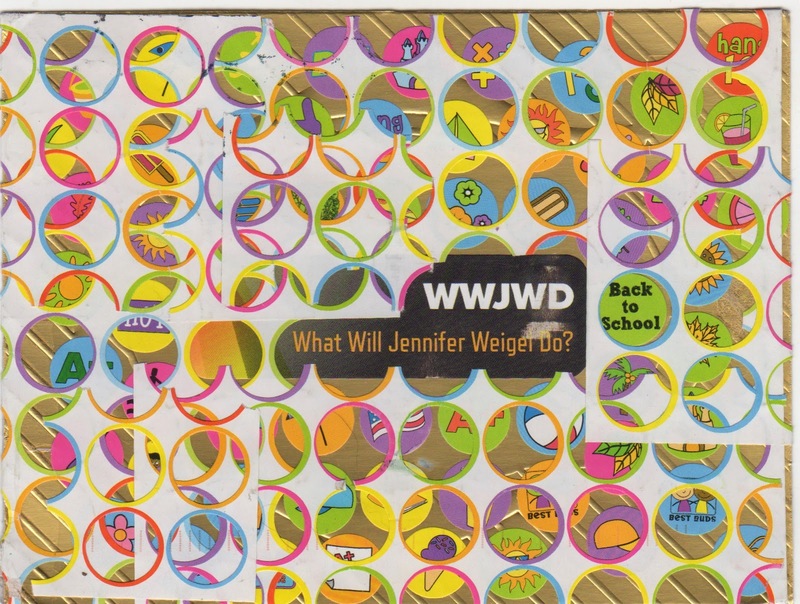 The Postal Ledger: What will Jennifer Weigel Do? 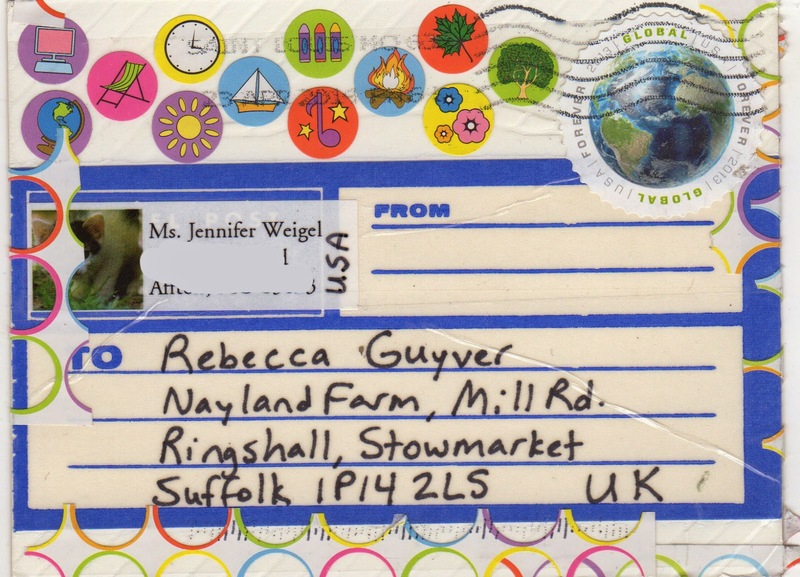 Received this fetching postcard from Jennifer Weigel. It doesn't instruct me about which mail art call it might be intended, so I am posting it here. I can imagine it at both with its beach ball motif and blue label, it would fit right into maritime mail art… and then again it could be muscial and is certainly colourful! Many thanks Jennifer!